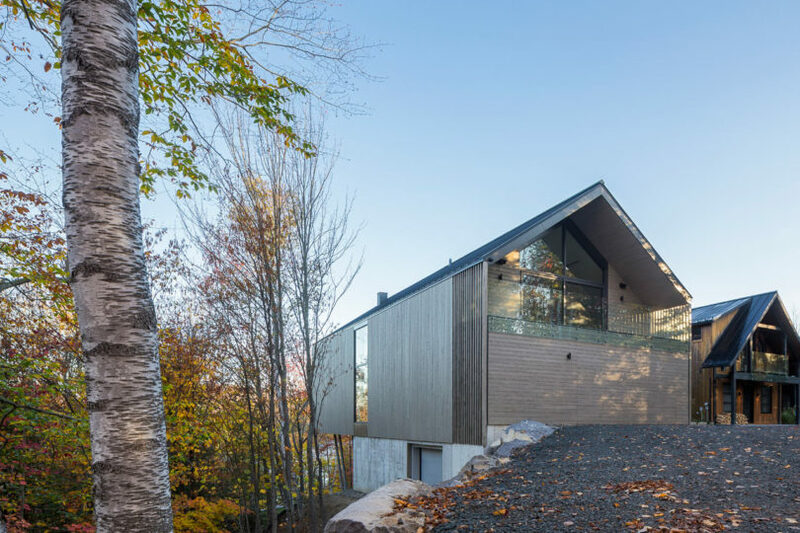 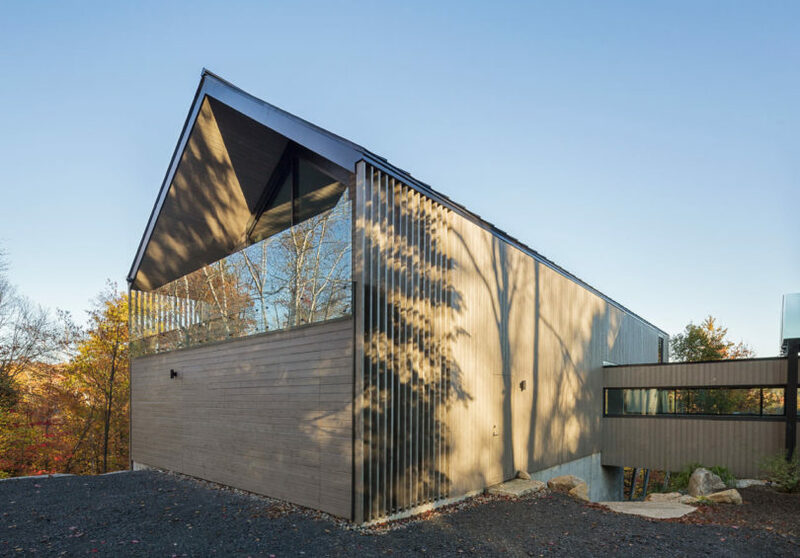 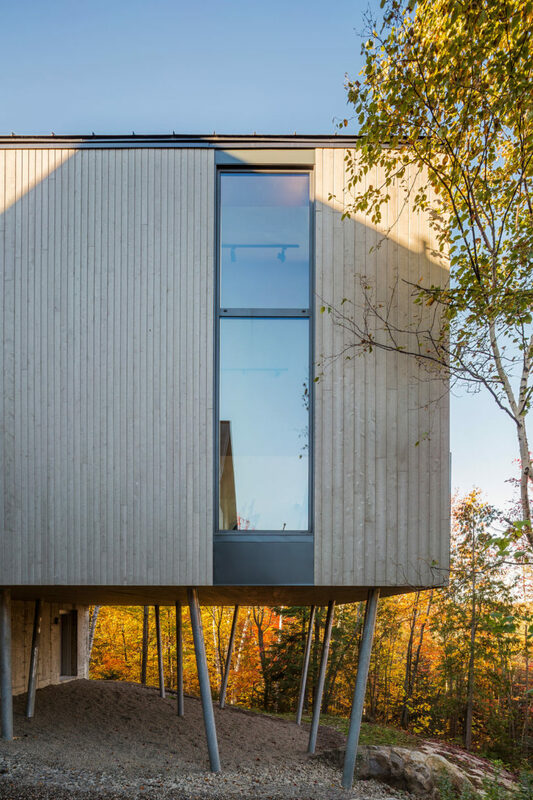 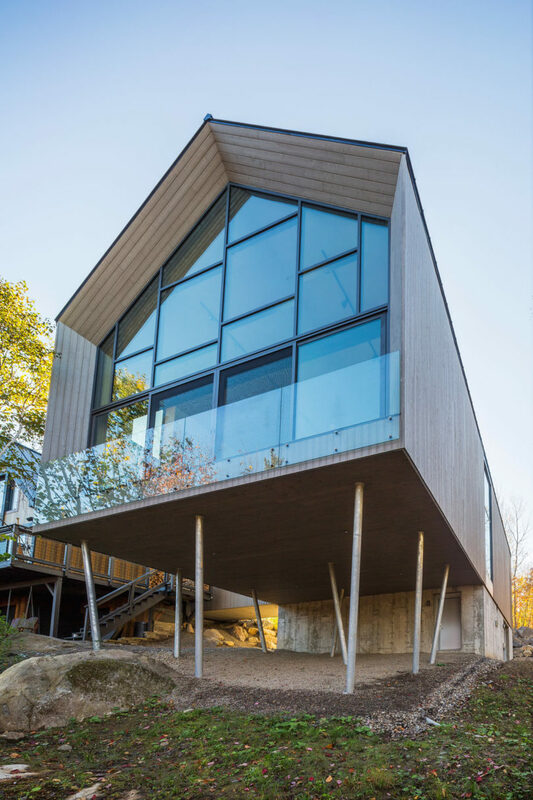 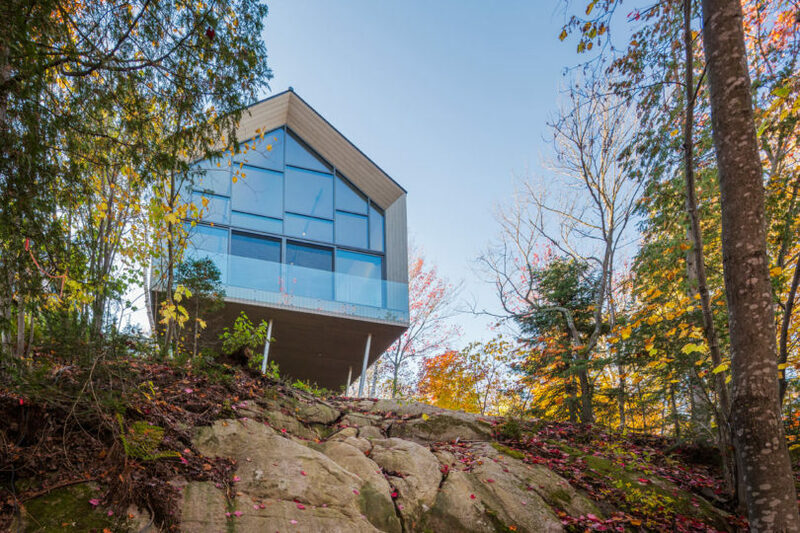 Cantilevered over a rocky hillside in Quebec’s Sainte-Adèle, the Workshop on a Cliff is a modern addition to a home by Lake Deauville. 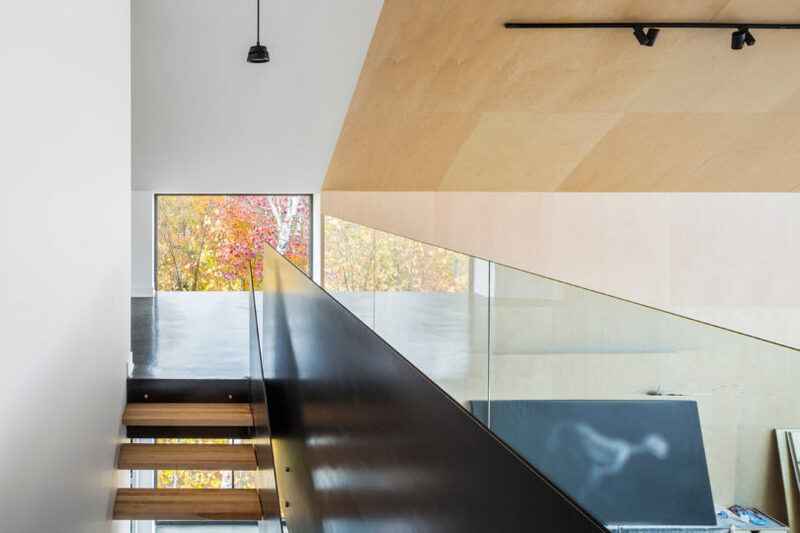 The structure, designed by MU Architecture, spans 5,000-square-feet and houses two garages, a workshop, a creative studio, and a mezzanine level all within its modern exterior. 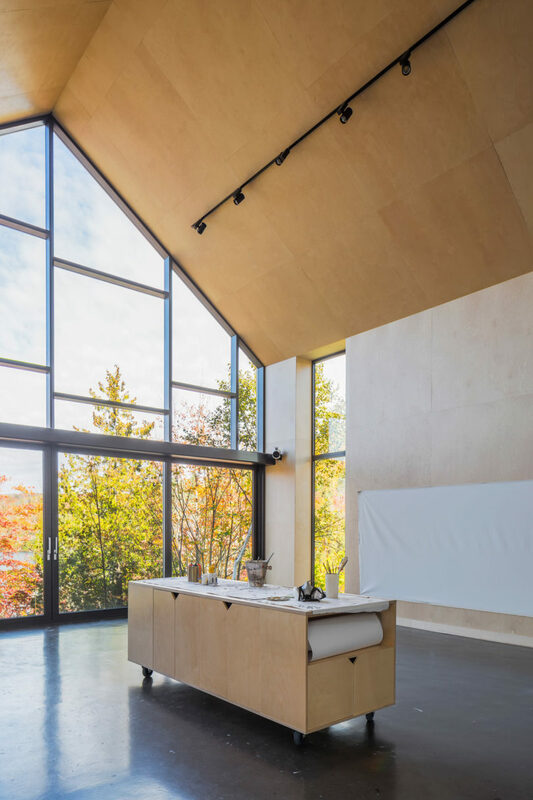 One end of the studio project out towards the lake with the entire side covered in windows to frame the views and to fill the interior with natural light. 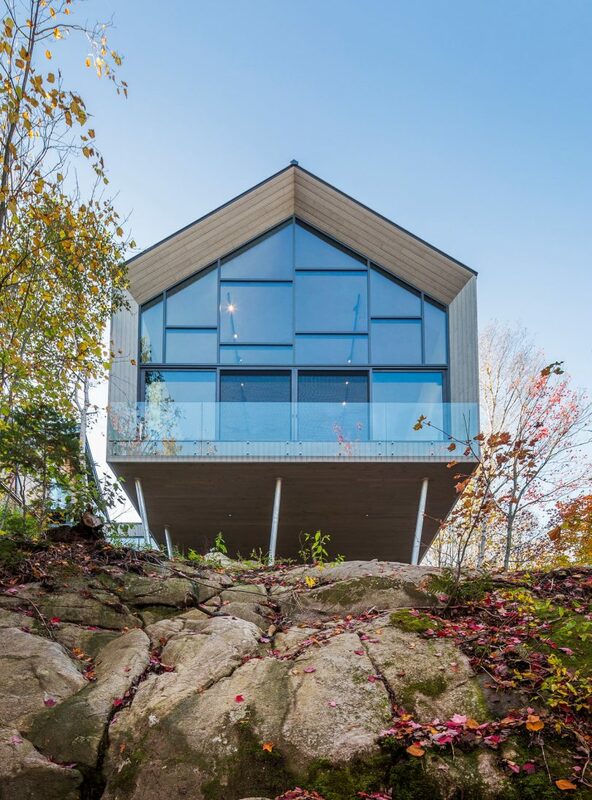 The addition can be reached through a hovering bridge directly from the main house. 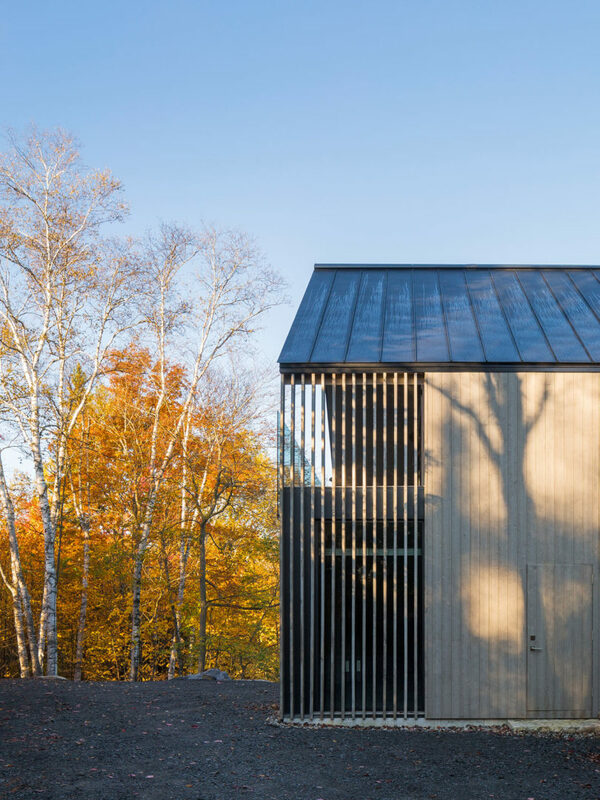 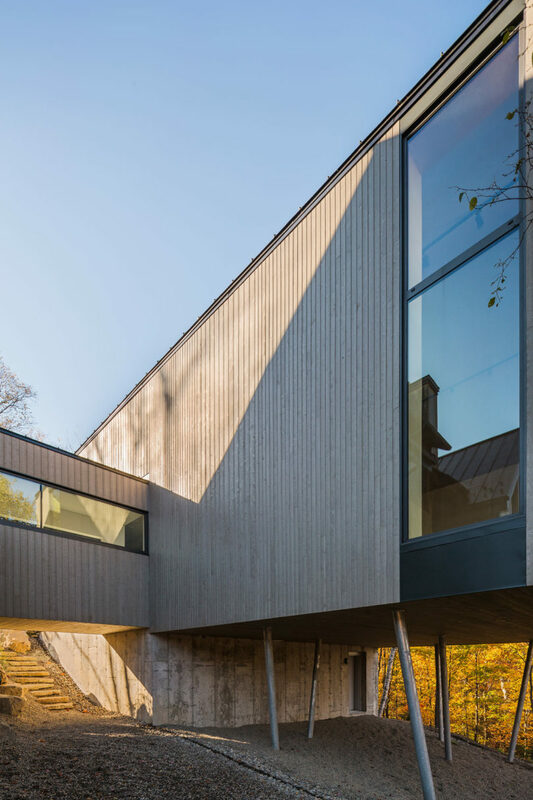 The bridge and workshop are clad in a pre-aged grey wood that blends into the surrounding landscape. 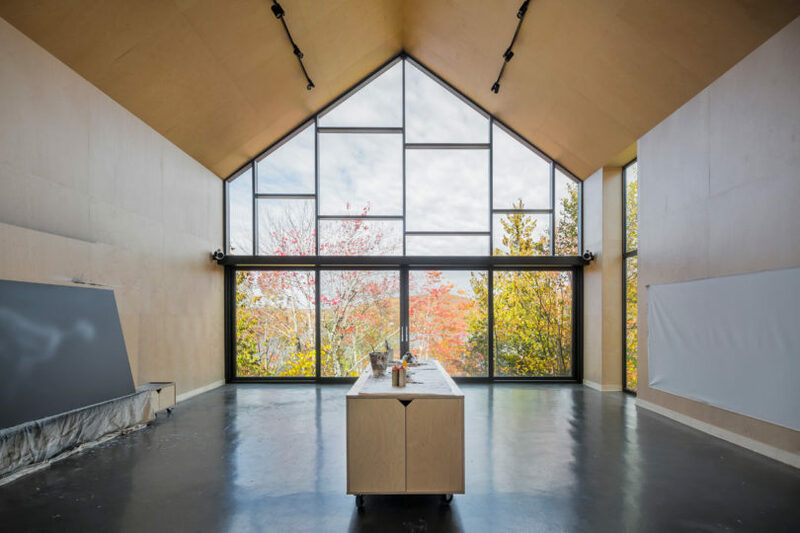 The main area boasts high ceilings making it a great space to work on large pieces of art. 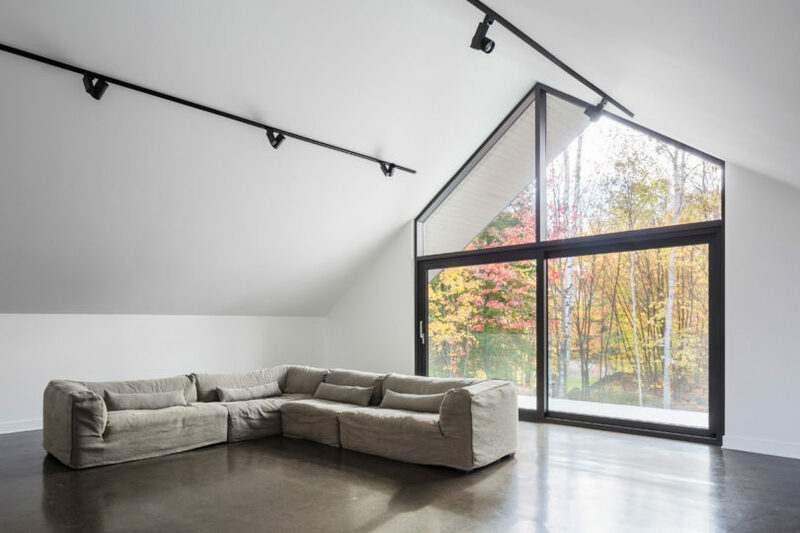 The polished concrete floors bounce light around the space making the interior feel even larger. 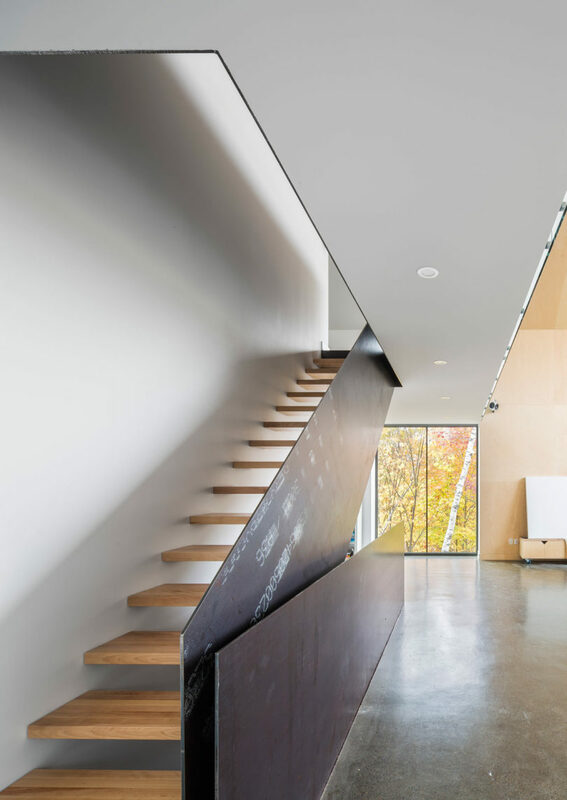 Turn around and the mezzanine comes into view along with the Z-shaped, cold-rolled staircase. 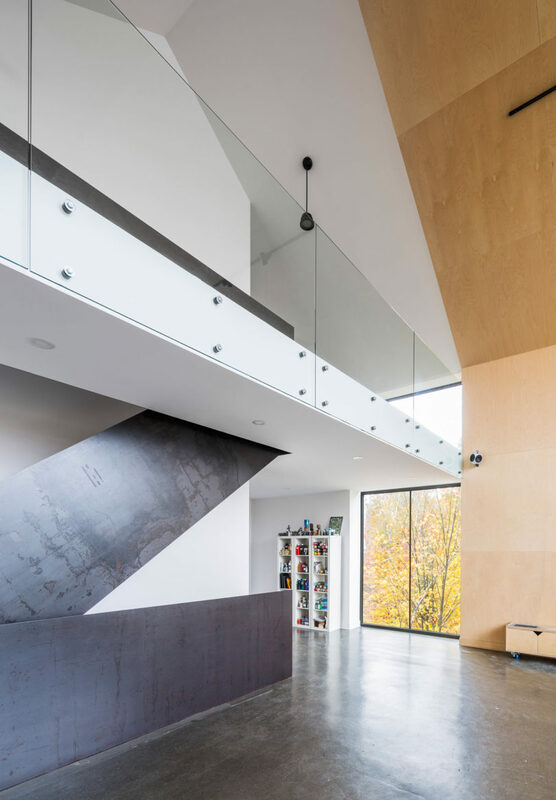 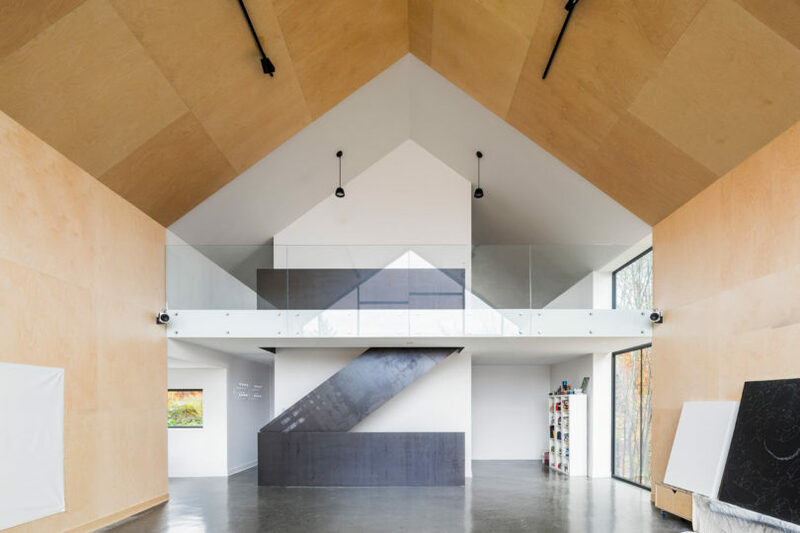 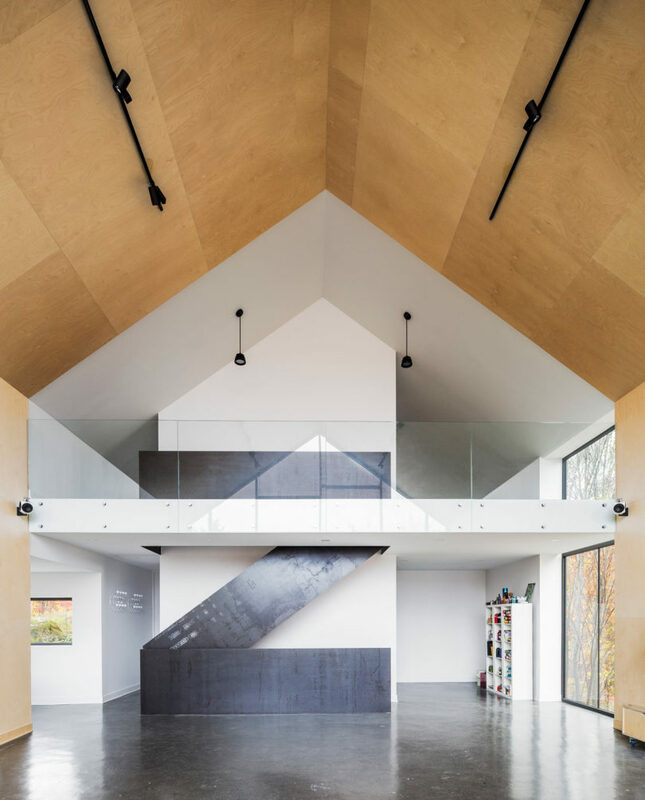 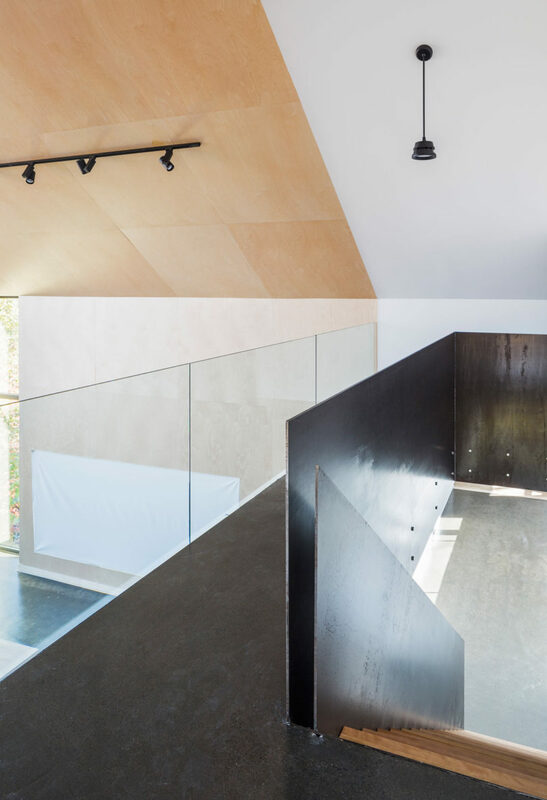 The mezzanine houses a house-like structure that features a bathroom and access to a smaller mezzanine where children can hide or play. 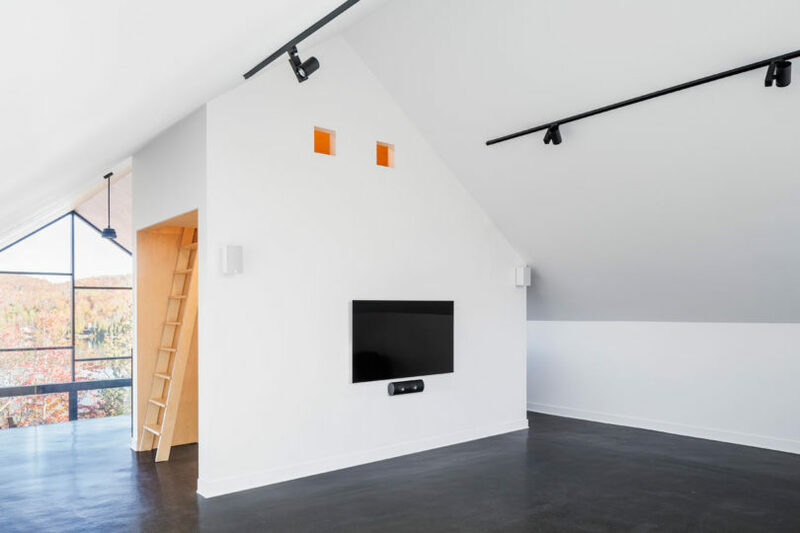 Photography by Ulysse Lemerise Bouchard, courtesy of v2com.